Red Apple Lipstick is one of the best gluten free brands I have ever tried. It provides gluten free and paraben free products with no compromise in its quality. I am absolutely in love with Red Apple Lipstick in Swoon (Read my review HERE). It looks gorgeous with my traditional dresses. 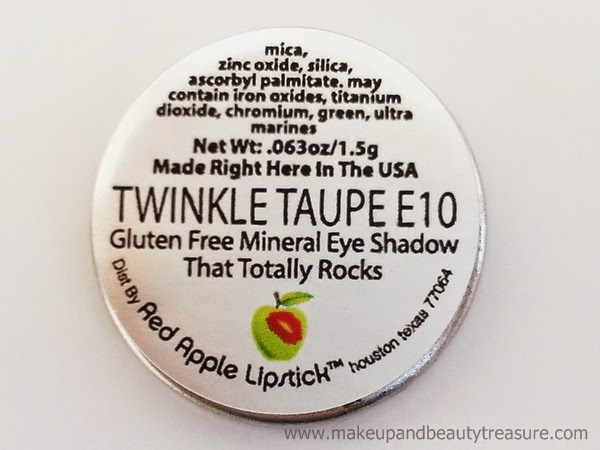 Today I am going to review Red Apple Lipstick Gluten free Mineral Eye Shadow in Twinkle Taupe. 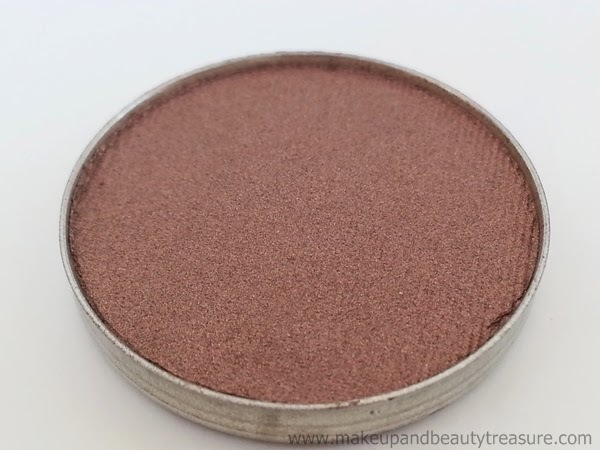 If you are searching for the best brown taupe eyeshadow for everyday wear then you MUST try it. For those who love satin! 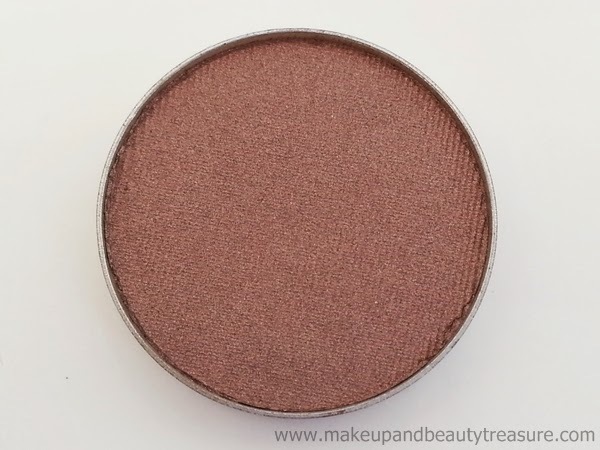 Twinkle Taupe is a stunning plum-based bronze. While it does not contain glitter, this rich shade catches light and creates a beautiful glowing effect. Twinkle Taupe looks great when worked onto the outer 2/3 of the eye and blended up into the crease. 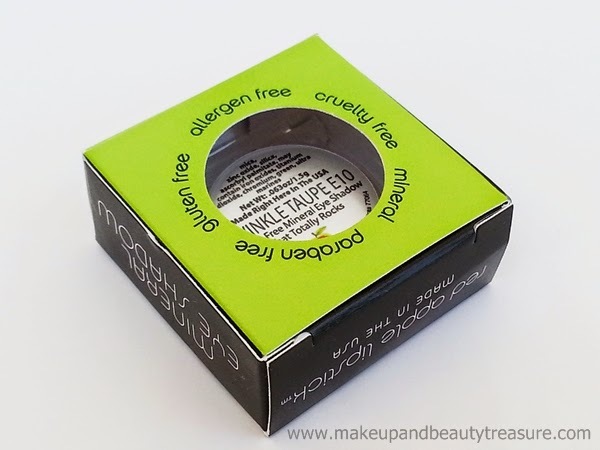 Red Apple Lipstick Eye Shadow comes in a green and black cardboard box packaging with a small window on both sides that allow you to look at the color of eyeshadow. The actual product comes in a small, round silver pan with all the details like shade name, shade number, ingredients mentioned at the back. The pan in turn is kept in a safe and secured clear plastic case that makes it travel friendly. The eyeshadow does not come with mirror and applicator so make sure to carry your own whilst traveling. The texture of the eye shadow is very soft, smooth and incredibly silky. Although the eye shadow is in pressed powder form, it feels smooth and creamy whilst application. Application of the eyeshadow is super easy. I love how it spreads easily all over my lids with absolutely no fall out. I simply sweep my eyeshadow brush over the color and apply it over my eye lids. The eye shadow does not tend to fall over my cheeks unlike few other powdery eye shadows. It provides an even coverage without giving patchy look. The pigmentation is medium to build-able. I always make sure to apply eye primer before applying eyeshadows. With the primer underneath, I get true and decent color with just few applications. Girls, do invest in a good primer. It really does make a difference in both pigmentation and longevity. I use Faces Metaliglow! It can be used both wet and dry but I prefer using it dry as I get the desired color with just few sweeps! Twinkle Taupe is a gorgeous brown color with taupe undertones. Though I love applying it on its own but it can also be used to create smokey looks. It looks fabulous with ‘no makeup’ makeup look. It instantly brightens up my eye area. It can be used at both day and night time. It does not contain shimmers but gives a beautiful sparkly effect when the light reflects. It is the best brown eyeshadow I own and looks gorgeous on my brown eyes. 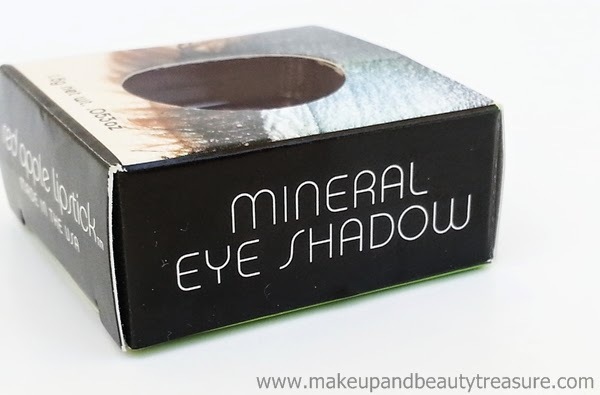 This eye shadow is suitable for all skin tones and eye colors. • Stays on my slightly oily lids for a long time with a primer underneath. • Provides a lovely satin-y finish. • Gives sparkly effect when light reflects though it does not contain shimmers or glitters. • Twinkle Taupe is hands down, the best brown shade I own. If you are into browns or neutrals then you MUST try it. • Instantly brightens up your eyes. • Suits all eye colors. • Gluten and paraben free. 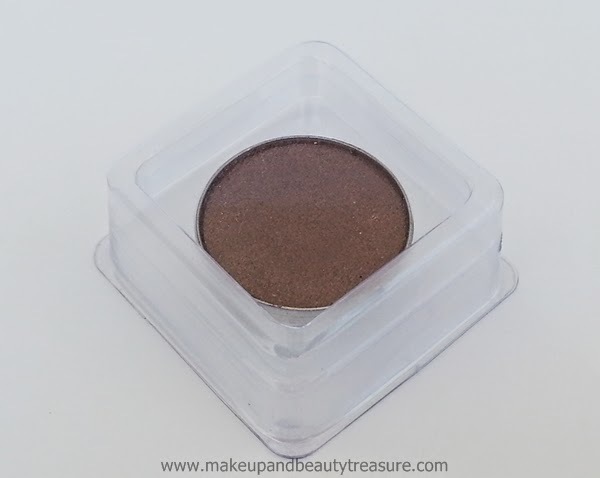 • Cruelty free mineral eyeshadow. 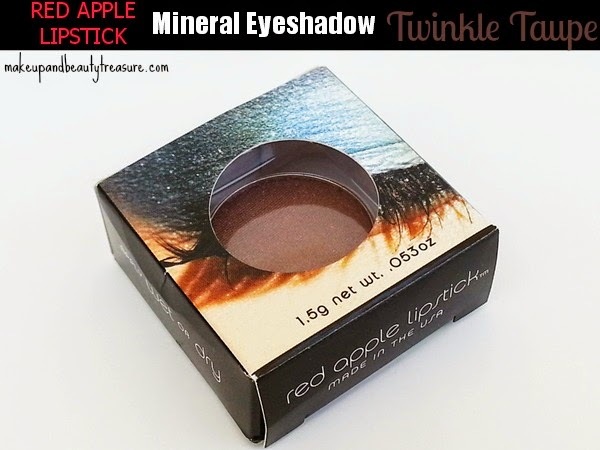 Overall Red Apple Lipstick Eye Shadow Twinkle Taupe is one of the best brown eyeshadows I own. It applies and blends easily. The pigmentation is medium to build-able and provides an even coverage. The eyeshadow stays on my eyelids for the majority of the day without smudging or creasing. Twinkle Taupe is the gorgeous brown color with taupe undertones that instantly makes your eyes look beautiful. It gives a twinkling effect when light hits the eyelids. 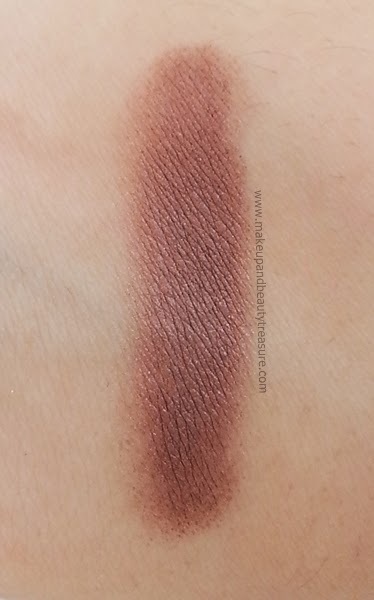 I am totally in love with this eyeshadow and would HIGHLY recommend it to everyone! Have you tried Red Apple Lipstick Eyeshadow? How was your experience? Share in the comments section below! It has taupe undertones Nats! You can see from eye swatches it is not pure brown! Fool proof :D Thanx so much Fio! Yeah Purva. This is such a pretty shade! You can check out their website. They provide palettes of your shade selection too! I like such taupe brown shade for blendinga dn in the crease.. lovely shade.. but $18 well it is quite expensive but quality seems good too!! I love using it on its own Poo! Yeah I think it is pricey due to its paraben free and gluten free tags! such a pretty shade, lovely EOTD Megha. Thanx Richa! it was a new brand for me too but is quite famous in US! must beautiful eyes and then...very nice shade. this is a great shade! I love these kinds of colors!